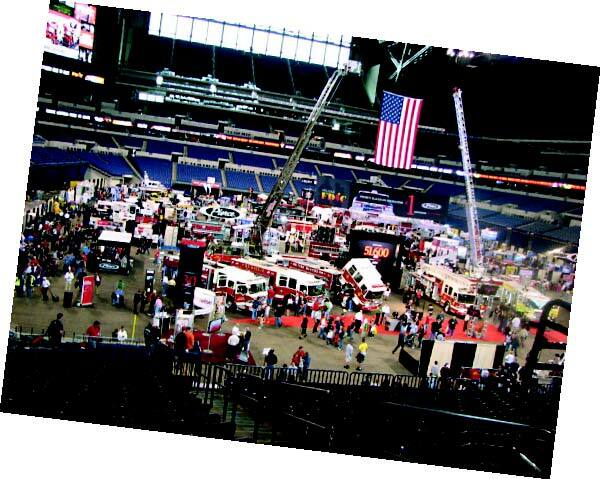 The Municipal staff members had the honor of meeting and learning from firefighters from across the county, the manufacturers who supply them and fire safety trainers at FDIC 2012 in Indianapolis in April. 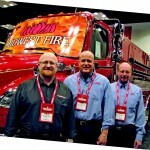 “The world’s largest firefighting show” was an impressive display of all the best in the business. 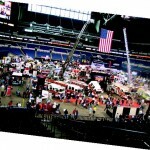 The main exhibit floor of FDIC 2012, at Lucas Oil Stadium in downtown Indianapolis. 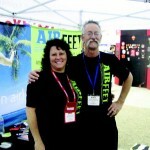 The team from Air Fleet Insoles made attendees more comfortable on the show floor. 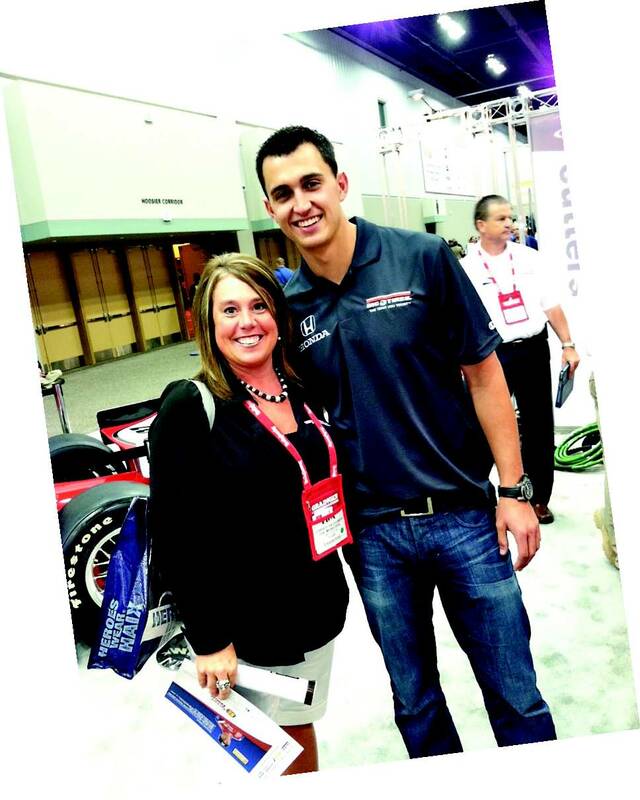 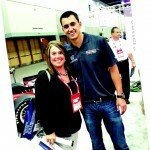 Account Executive Christi Sausaman with Indy car driver Graham Rahal at the Holmatro exhibit. 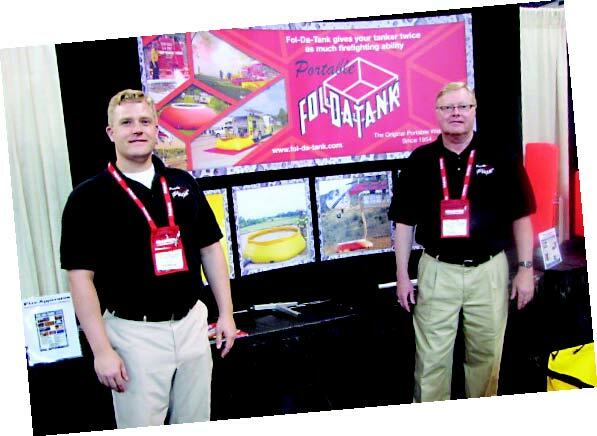 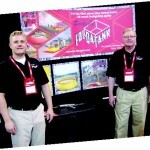 At another exhibit inside Lucas Oil, Chad and Jan Christensen, exhibited the patented, portable Fol-da-tank. 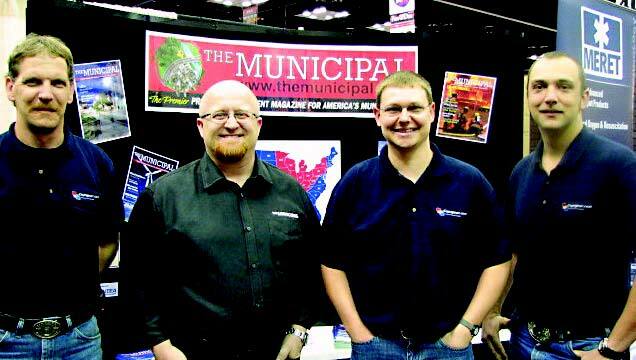 Josh Church, third from left, and his team members from the Copsgear.com booth visited Municipal Account Executive Steve Gutowski, pictured second from left. 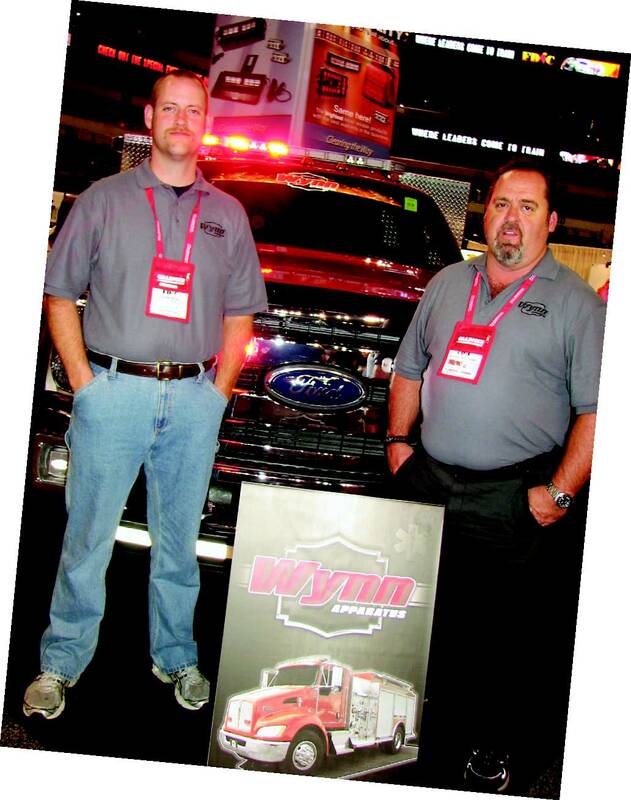 From left, John Wise and Kevin Williams of Wynn Apparatus show off their latest upfitted vehicles. 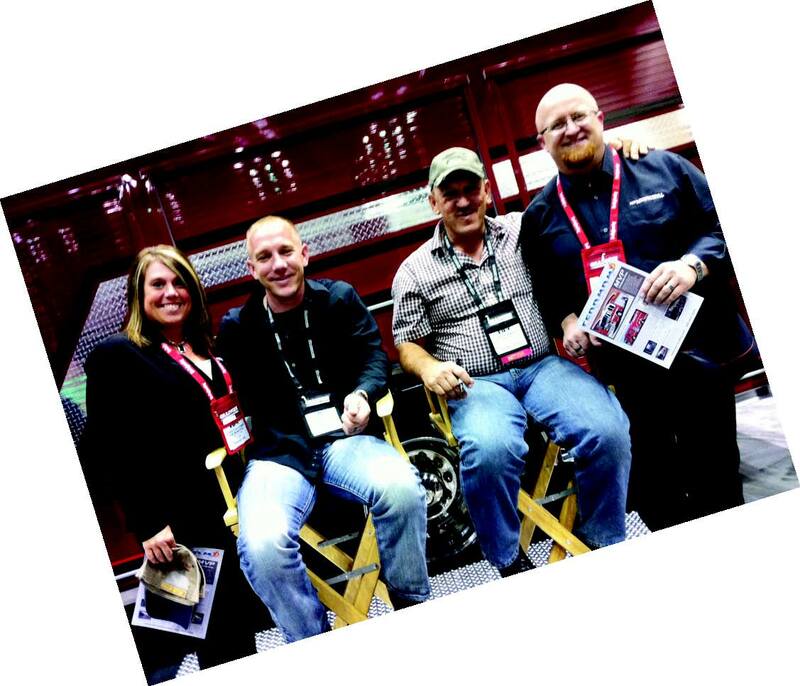 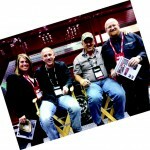 The Municipal Account Executives Christi Sausaman and Steve Gutowski flank, from left, Troy and Jake Landry of the hit television series “Swamp People” at the Ferrara Fire exhibit. 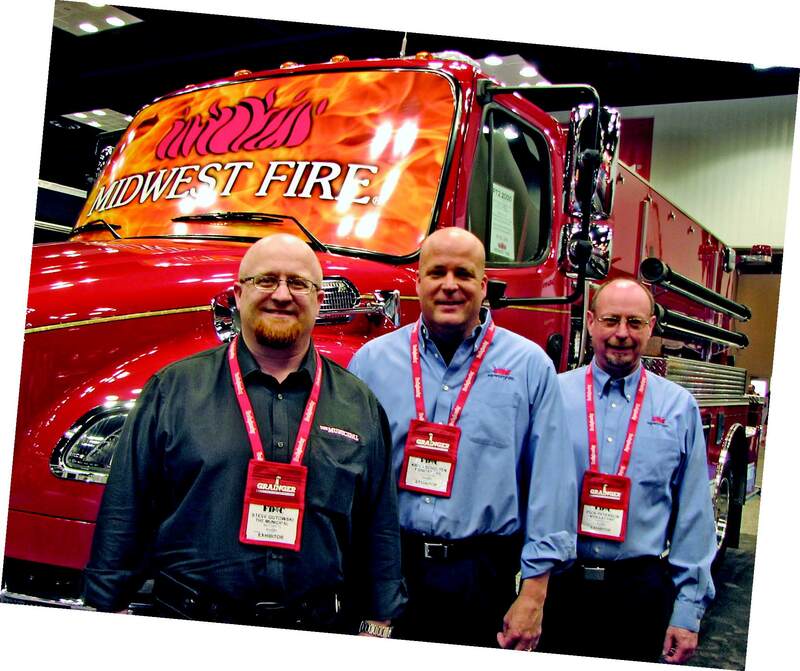 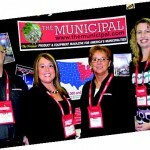 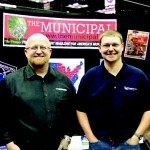 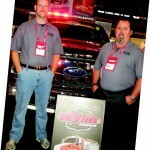 The Municipal team takes to the exhibit floor at FDIC 2012. 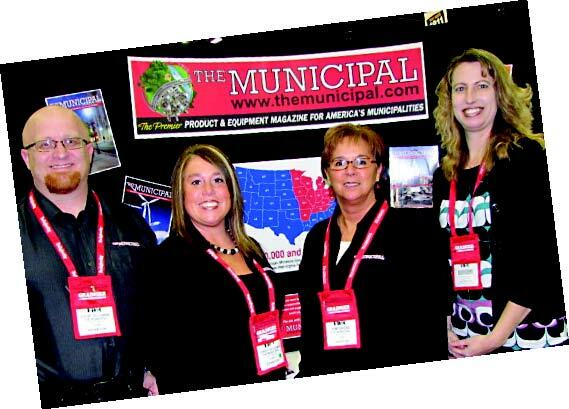 Pictured, from left, are Account Executives Steve Gutowski and Christi Sausaman, Publication Manager Kim Gross and Editor Jodi Magallanes.